Rite Aid Shoppers – FREE Playtex Sport Compact Tampons! Here is a great deal you can score at Rite Aid this week. Playtex Sport Tampons 16 or 18 ct are on sale for $3.50 each, must buy 2 to get this price and when you buy 2 you will earn 200 Plenti Points ($2.00, limit 2). 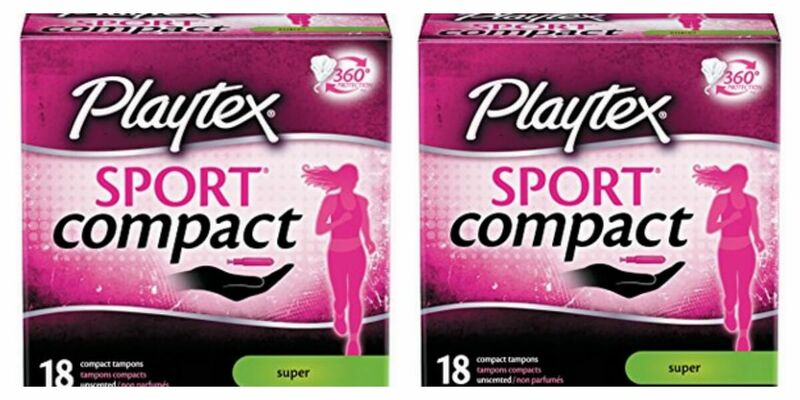 We have this awesome new $2.50/1 Playtex Sport Compact Tampons, exp. Varies available to print. With the available coupons, sale and Plenti Points, we will be able to score 2 Playtex Sport Compact Tampons for FREE after stacked offers!